Jackie Young is an American basketball player. She plays in the guard position. Las Vegas Aces selected her with first overall pick in the first round of 2019 WNBA draft on 10 April 2019. She played college basketball at Notre Dame. She has over 16.7k followers on her Instagram. Jackie Young became the second Irish player joining Jewell Loyd in program history drafted first overall. Las Vegas Aces drafted her first overall of 2019 WNBA draft. "I've dreamed of this moment since I was a little girl, but I never imagined it would be like this. I'm so blessed & honored to be selected as the #1 pick. Can’t wait to get to Vegas to start the next chapter". The 2018 NCAA champion announced to forgo her senior year at Notre Dame on 8 April 2019. Just a day, she became the first overall drafted in the 2019 NBA draft. Other Notre Dame prospects, Arike Ogunbowale was selected with the fifth overall pick by Dallas and Brianna Turner with an 11th overall pick by Atlanta Dream. What is Jackie Young Famous For? Drafted first overall by the Las Vegas Aces in the 2019 WNBA draft. 2018 NCAA champion at Notre Dame. Where was Jackie Young Born? Jackie Young was born on 16 September 1997. Her birthplace is in Princeton, Indiana in the United States. She holds American nationality. She is of Irish descent. Information about her parents, siblings, and early life is currently unavailable. It will be updated soon. She attended Princeton Community High School in Princeton, Indiana. She played high school basketball at Princeton. She averaged 30.8 points, 10.3 rebounds, 5.5 assists, and 3.5 steals per game in high school. She finished her high school as the leading scorer in Indian high school history with 3,268 points. She led Princeton to 53 consecutive wins and the 2015 Indiana Cass 3A state championship. She set the record for most points in a Class 3A final with 36 points. She also set the Indiana high school girls' basketball single-season scoring record as a junior scoring 1,003 points. She is also the fifth player (either male or female) in state history to score 1,000 points in a single season. She was ranked in the top 10 by all major national recruiting services. She graduated from Princeton in 2016. She enrolled at the University of Notre Dame. 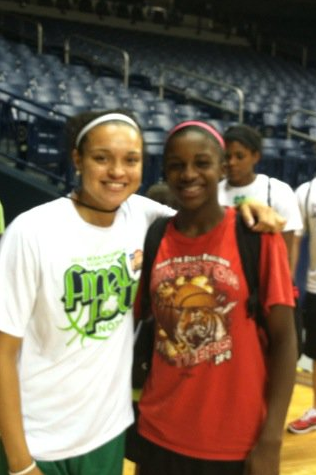 She played college basketball for the Notre Dame Fighting Irish women's basketball team from 2016 to 2019. In a match against Valparaiso in December 2016, she became the first Irish player to score 20 points off the bench since Arike Ogunbowale had 21 at TCU. She averaged 7.3 points, 1.4 assists, and 4.6 rebounds per game in her freshman years. She played 33 games but started none. She averaged 14.5 points, 3.7 assists, and 6.6 rebounds per game starting all 38 games in her sophomore season. Her 551 points were the fifth most by a sophomore at Notre Dame. She averaged 14.7 points, 5.1 assists, and 7.4 rebounds per game in her junior years. She reached NCAA finals twice at Notre Dame. 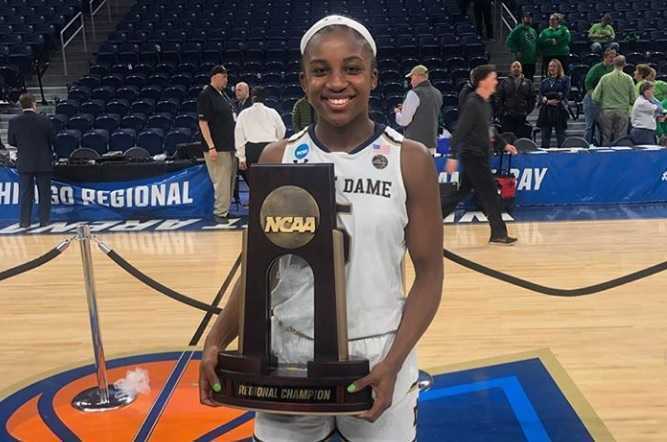 She helped Notre Dame to win 2018 NCAA championship. 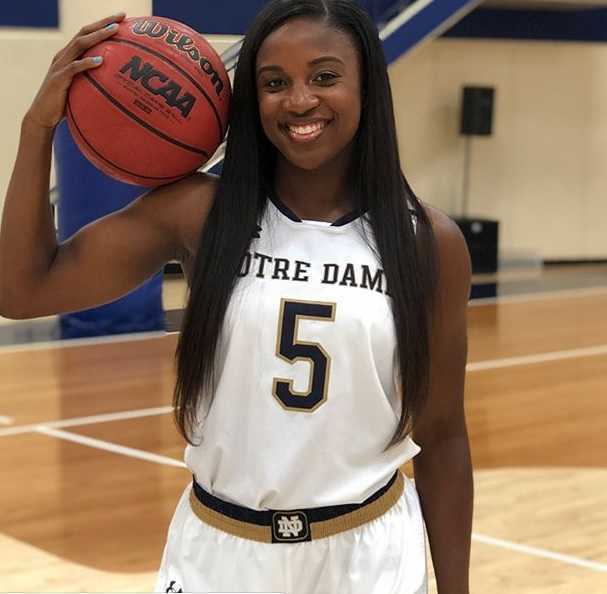 She forgo her senior year at Notre Dame to enter the 2019 WNBA draft. Las Vegas Aces selected her with first overall pick in the first round of 2019 WNBA draft on 10 April 2019.
Who is Jackie Young Dating? Jackie Young is reportedly single. She is a young girl starting her WNBA career. She is focused on her professional career. She might be dating someone. No rumors regarding her affairs have surfaced yet. She has managed to maintain a low profile regarding her personal life. What are Jackie Young Body Measurements? Jackie Young stands at a height of 1.83 m i.e. 6 feet tall. She has a body weight of 165 lbs i.e. 75 kg. She has an athletic body build. She has dark brown eyes and her hair color is black. What is Jackie Young's Net Worth? Jackie Young has just started her professional career as a basketball player. Las Vegas Aces drafted her first overall in the 2019 WNBA draft. Her salary at the Aces is estimated at $75,000. Her net worth is estimated at $0.5 million. She has a long career ahead of her. She might be earning quite a fortune in the coming years.